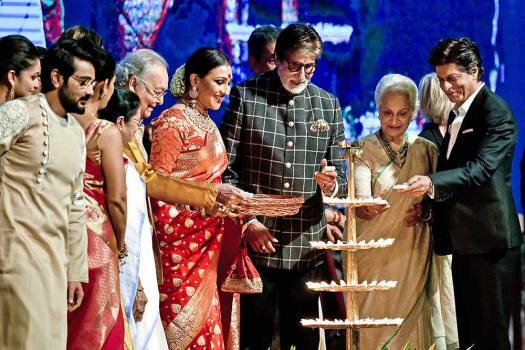 Bollywood actor Amitabh Bachchan along with artists performs during a programme to pay homage to the victims of 26/11 terror attacks, in Mumbai. 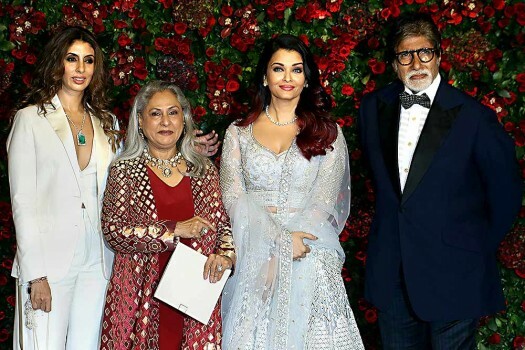 Bollywood actor Amitabh Bachchan at the music launch of singer Avitesh Shrivastava's debut single 'Main Hua Tera', in Mumbai. 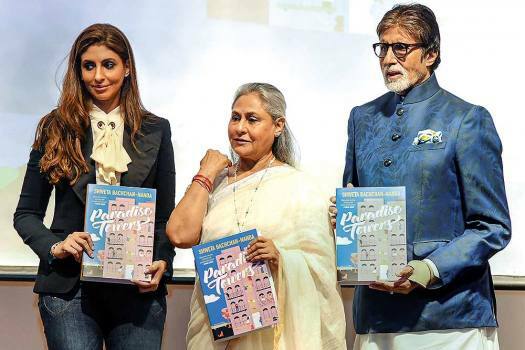 Bollywood megastar Amitabh Bachchan releases a book with West Bengal Chief Minister Mamata Banerjee during inauguration of '24th Kolkata Intenational Film Festival' in Kolkata. 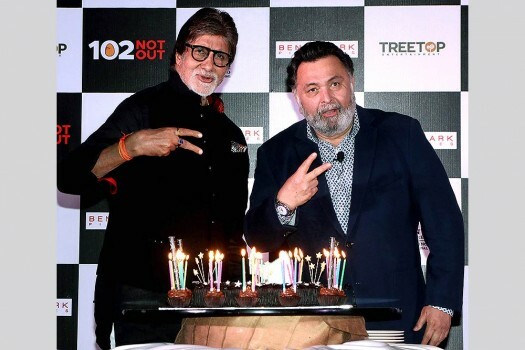 Actors Amitabh Bachchan and Rishi Kapoor at a press conference to celebrate the success of their film "102 Not Out" in Mumbai. 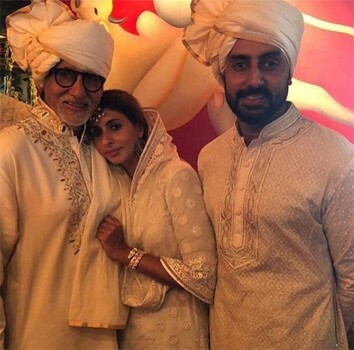 Bollywood actor Amitabh Bachchana, right, along with son Abhishek Bachchan leaves after attending the marriage cermony of Bollywood actress Sonam Kapoor in Mumbai. 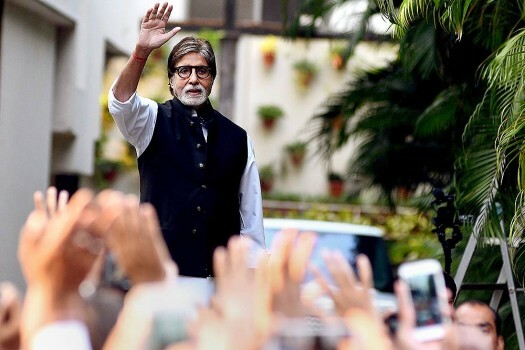 Bollywood actor Amitabh Bachchan waves to his fans at his residence in Mumbai. 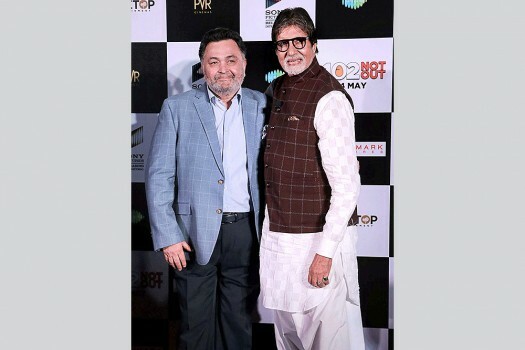 Bollywood actors Amitabh Bachchan and Rishi Kapoor during Trailer and Song launch of their film of '102 Not Out' in Mumbai. 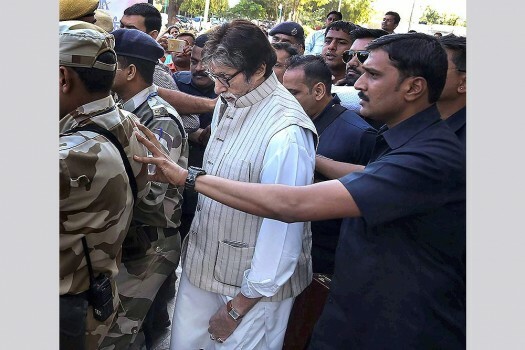 Bollywood actor Amitabh Bachchan arrives for the shoot of his film 'Thugs of Hindostan' in Jodhpur. 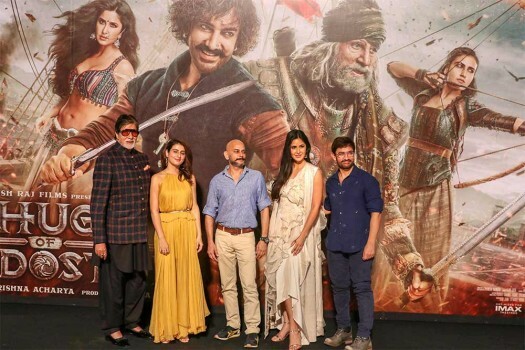 Boman Irani launched his production banner 'Irani MovieTone' on Thursday but he contends that at heart, he still remains an actor. A Dadasaheb Phalke award winner, Mrinal Sen passed away on Sunday. He was 95. Khan is conscious and is able to maintain eye contact, he has stopped talking. He also has symptoms of pneumonia. He also suffers from progressive supranuclear palsy (PSP). 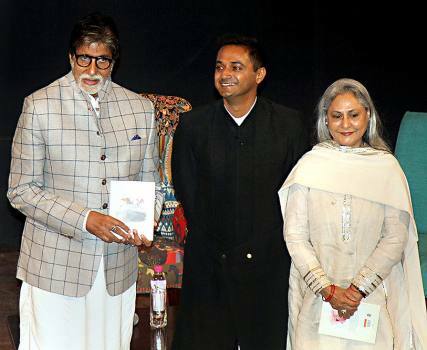 Lata Mangeshkar showered her blessing with a recording of the Gayatri Mantra, a Ganesh Stuti and a lovely message sung in her soulful voice. 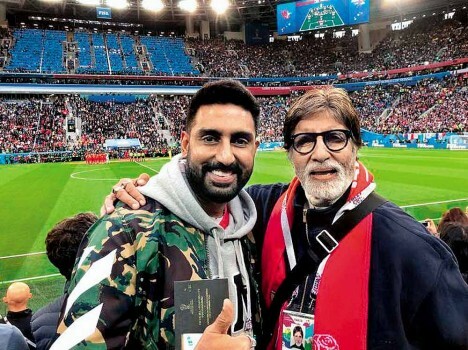 Big B has posted on his blog that over 850 farmers from Uttar Pradesh have been identified and their loans will be managed. 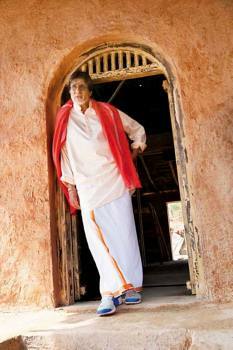 Bachchan loosened Bollywood’s bias around old age and Rishi followed suit. 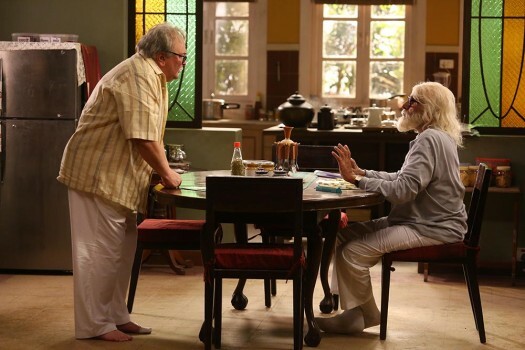 Now, they join forces to make the ‘old hero’ bankable. 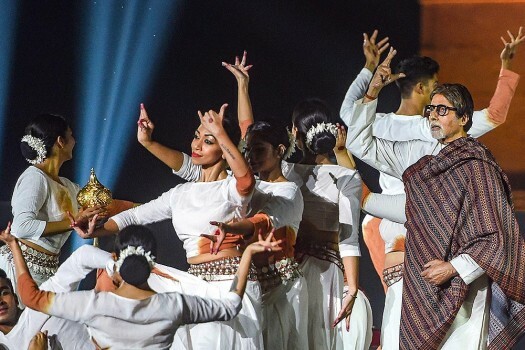 Harsha Bhogle’s banishment from the IPL might be due to bloated, brittle player egos goaded by a partisan Big B tweet. But it highlights BCCI’s arrogant, sphinx-like opacity. 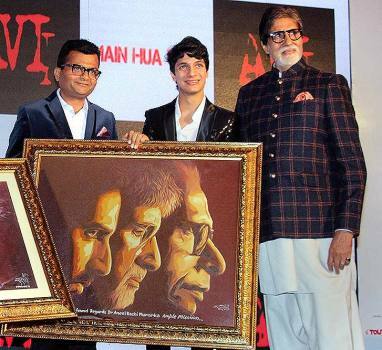 Amitabh Bachchan on the three young men who who took over the mantle of superstardom from him. It may sor­ely try your patience, but it does make eminent sense too. The angry young man of the 1970s has now morphed into playing character roles. 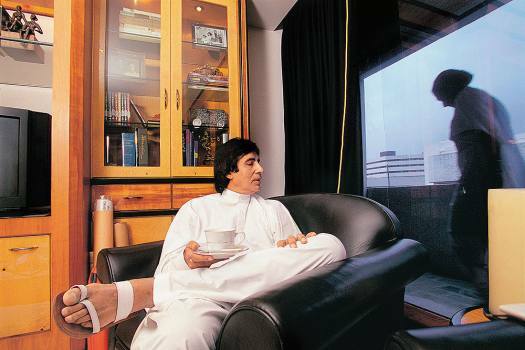 His five-decade run in cinema and on television is showing no sign of unspooling.